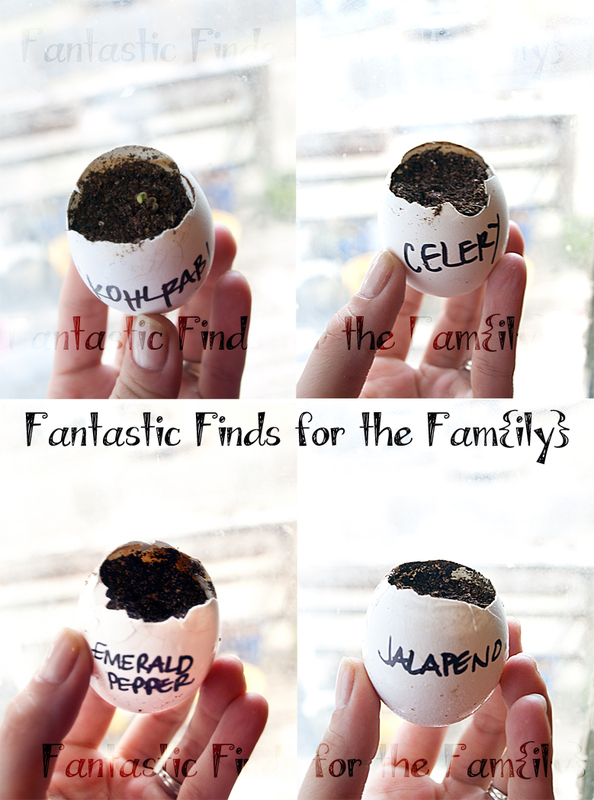 This Crafting Life: Let the Gardening Begin... How to start seeds! 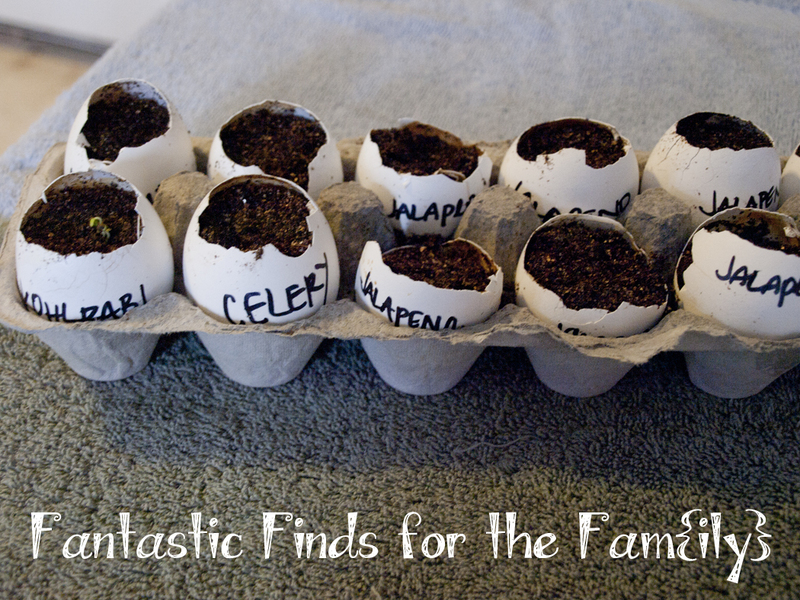 What do Eggshells, Dirt and seeds have in common? Nothing if you are a normal person... but if you're a gardener, it could mean a lot to you. There are many different ways to start a seed. For most, Jiffy Greenhouses are the way to go. They're easy, the dirt is already there, all you have to do is add water and the little peat pellets puff up and you can press in your seeds, pop the lid on and you're done. I've done these in the past, and they are easy, they are probably the most compact of all of the options out there, but they aren't very green. I have to dispose of, or store, this large plastic case, and there have been times I've found that my little seedlings weren't able to push their roots through the meshy casing that is supposed to dissolve over time, and their growth has been stunted. 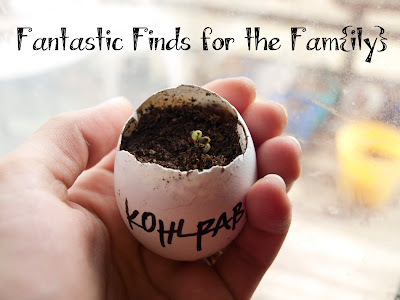 Plus, I'm all about being green, so this year we're trying several new "green" seed starting techniques. The first of these techniques we put into effect this past weekend when we started our first batch of seeds (only 4 varieties of plants, of the longest germinating variety.) Next week, we'll be starting a larger batch, and sharing another green seed starting technique with you. I read about this technique on some website, I really wish I had bookmarked it, because it was a great website... *facepalm* For this technique, it requires some planning ahead. Whenever you use an egg, try to crack just the top off on the smaller end of the egg. Rinse it out and let it dry upside down, and then when it's dry, store it in a spare egg carton. When you've got a dozen or two, you're ready to start some seeds. When you're ready to plant them in the ground, all you have to do is crush the egg in your hand and put it in the ground. 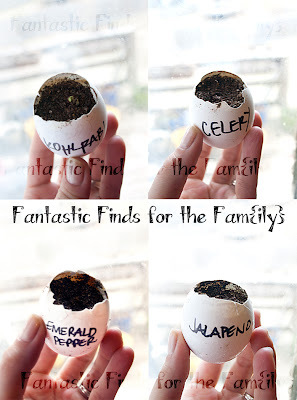 The egg shells are very good for the dirt and the seedling and will help them grow. The Kohlrabi is already sprouting! Just 3 days after planting!! I also saved the shards from the top of the egg that I cracked and have crushed them up and will mix them into my soil before I add my plants. You may be asking yourself, how do I know when to start my seeds? 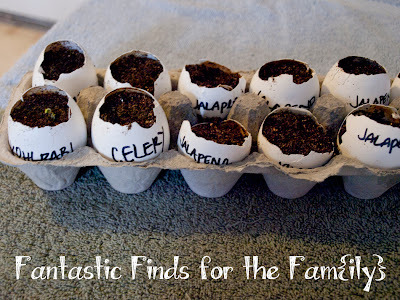 You don't want to start them too early and have to transplant them inside before they can go outside, but you also don't want to get too late of a start and shorten your available harvesting time. First, know your zone. You can find your gardening zone here, and by knowing your zone, you'll become familiar with what types of plants you can grow. Second, know your Average Last Frost Date. This will give you the baseline to time your seed starting. Third, read your seed packet. Each seed packet usually comes with information such as; whether the plant prefers sun or shade, what depth to plant your seed, any germination instructions, how long it will take to bear fruit, how long it will take to sprout, when to plant in the ground and any other information that you need to know in order to start the seed. I started these four because their instructions all indicated that they should be started 8-10 weeks before the average last frost date. For my area, my average last frost date is April 25th. Right around this time, I'll be able to begin hardening off my seedlings and getting them ready to go into the ground or pots. These are the four different types of plants that were started on 3/4/12. Expect some articles on the individual plants themselves coming this week!